Introducing Ghostbusters World. Now, instead of using your phone to call Ghostbusters, you can just use it to catch the ghost yourself! 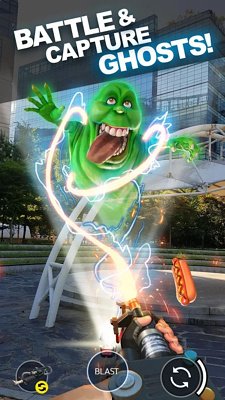 Ghostbuster World is the latest example of Augmented Reality mobile games, following in the wake of the Pokemon Go hype. Earlier this year, Google Maps allowed game developers to create their game based on Google Maps API technology. This has had a huge impact on the relatively new AR mobile game industry, as it ensures real-world, scalable gameplay with fast response time and reliable data - everywhere around the globe. Ghostbusters World is actually the third AR mobile game developed with Google Maps, after The Walking Dead: Our World and Jurassic World Alive. In our opinion, AR mobile games have revolutionized the way we think about mobile games, blurring the lines between reality and game, exercise and play, as well as social and single player games. Navigating around while having fun? It’s safe to say that we’re fans of this development. So when Google made the announcement of Ghostbusters World back in march, we were excited, and even more so now that the game has been released. 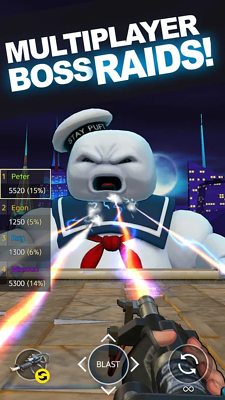 Ghostbusters World was developed in collaboration between Sony Pictures Entertainment Consumer Products, Ghost Corps and publisher FourThirtyThree Inc. (4:33), utilizing the latest map and AR technology. And it’s built with Google Maps. The game brings back the beloved 80’s Ghostbusters franchise, in which the three parapsychology professors Venkman, Stantz and Spengler team up with Zeddemore and decide to rid the world of annoying ghost pests with their paranormal investigation and elimination service. There’s hardly a person out there, who doesn’t know the right answer to the question who ya gonna call? Even kids born 25 years after the title phrase was first sung in movie theaters know to yell out Ghostbusters! at this point. 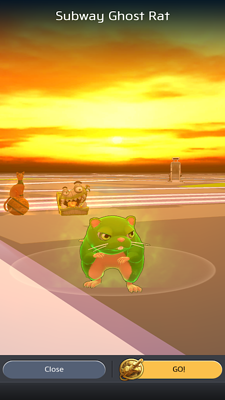 The story in the game, however, is completely original, although classic characters do appear. The movies are something of a cult, so it’s nice to see how both inveterate fans and younger age groups are targeted with the Ghostbusters World game. 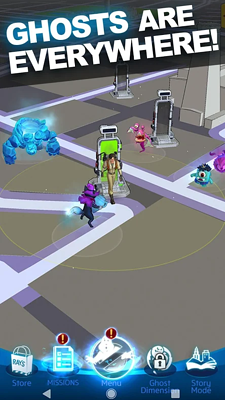 In the game, the player is a ghost hunter, looking to eliminate ghoulish monsters, who appear everywhere through location-based dimension doors. Through Google Maps data, the players navigate the world, looking for local landmarks, ghosts and structures on the map. The camera can either be turned on to allow AR features, projecting the monster in the real world on your screen, or left off to only see the map of the game world, which matches the players surroundings, as it’s still based on Google Maps data. So if there’s something strange in your neighbourhood next time you’re walking to the supermarket or enjoying some sightseeing, you can grab your phone and bust some ghosts!